What fun! A reformed criminal, now masquerading as a millionaire prince, has taken up a new life as a sort of fixer, solving crimes instead of committing them. In the first of the eight adventures here he meets a young woman who is desperate to change her life: he invites her to join him in his exploits, no strings attached, for one year. She agrees, although with some reservations, and Hortense and the Prince work their way through seven more cases together. Fast moving, intelligent, and -- for crime fiction -- oddly non-judgemental. Worth the read. 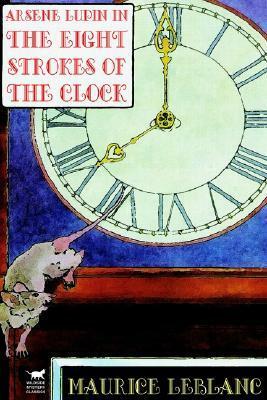 Sign into Goodreads to see if any of your friends have read The Eight Strokes of the Clock.